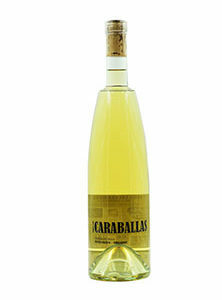 18.00€ Bottle 75 cl Tax incl. Valenciso Blanco from Valenciso wineries is a white wine from the D.O. La Rioja This wine is a coupage of the Viura (70%) and Garnacha Blanca (30%) varieties. The grapes used come from sustainably managed vineyards located in the towns of Villalba, Haro and Ollauri. These are very old vineyards that grow on clayey and calcareous soils. The Rioja Alta, the region in which the grapes of this Valenciso Blanco are cultivated, stands out for having an Atlantic climate dominated mainly by temperate temperatures. The harvesting process is done manually, trying not to break the grains and keep them in the best possible conditions so that they do not lose their qualities. After being transported to the winery, the Valenciso Blanco grape ferments in oak barrels from the Caucasus. In these same containers the wine rests for nine months before being bottled and marketed. 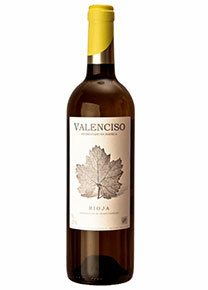 Only 9,000 units per vintage are made from Valenciso Blanco.